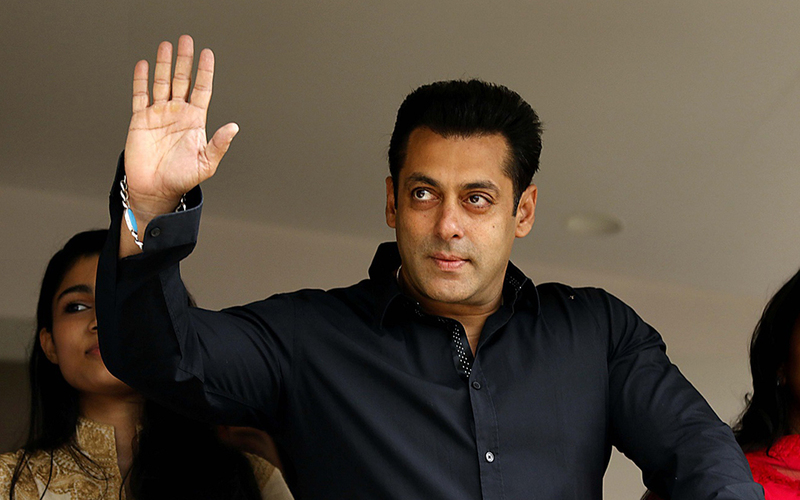 Salman Khan is a celebrated actor and amongst the biggest stars of Bollywood. Moody, caring and unpredictable by nature, Salman is a sought after hero in Bollywood today and completes the formidable Khan trio, alongside Aamir Khan and Shah Rukh Khan. He runs a charity non-profit organisation, Being Human. Born on December 27, 1965 Salman Khan is the son of the legendary writer Salim Khan, who penned many super-hits in the yesteryear’s like Sholay (1975), Deewar (1975), and Don (1978). Salman started his acting career in 1988 by doing a supporting role in the movie Biwi ho to Aisi (1988). The following year he had the leading role in the box office romantic hit Mene Pyar Kiya(1989). From there he became a heart throb of Indian cinema. Following with other box office hits he showed his terrific performance in Andaz Apna Apna (1994), Hum Aapke Hain Koun…! (1994), Karan and Arjun (1995), Khamoshi: The Musical (1996), Kuch Kuch Hota Hai (1998). His transformations can be sensitive, vulnerable, funny, aggressive and charming as his role demands. Salman Khan (born Abdul Rashid Salim Salman Khan, 1965), Indian actor, producer, television presenter, philanthropist and humanitarian. He was born on 27 December, 1965 to Salim Khan and Salma Khan at Indore in Madhya Pradesh, India. Coming from a family with rich cinematic lineage, Salman’s father is Salim Khan is a renowned scriptwriter, while his stepmother Helen is a renowned Bollywood item dancer. Besides having two sisters, he also has two brothers, Arbaaz Khan and Sohail Khan, both are famous actors, directors and producers in Bollywood. Salman, who is popularly known as ‘bhai‘ (brother), has completed his schooling from St. Stanislaus High School in Bandra, Mumbai like his younger brothers Arbaaz and Sohail. Previously, he studied at The Scindia School, Gwalior for a few years. Salman worked as an assistant director after he dropped out of St. Xavier’s College in Mumbai. You might not know that he had written three scripts before he became an actor. Moreover, he has learnt painting from his mother Salma. Khan made his acting debut with a supporting role in the 1988 film Biwi Ho To Aisi in which his voice was dubbed by someone else. His first leading role in a Bollywood movie was in Sooraj R. Barjatya’s romantic family drama Maine Pyar Kiya (1989), one of India’s highest-grossing films. It earned him his first nomination for a Best Actor at Filmfare, but the much expected Filmfare Award for Best Male Debut was awarded to Sooraj Barjatya. In 2011, he launched his own production company, called SKBH Productions (Salman Khan Being Human Productions). Money generated from film productions will be donated to the Being Human organisation. The first film made under the banner was the kids’ entertainer Chillar Party, which went on to win 3 National Awards for Best Children’s film, Best Original Screenplay and Child Artist’s Award. SKBH Productions next film will be Shikshanachya Aaicha Gho, a remake directed by Mahesh Manjrekar. In 2014, he launched another production house called SKF (Salman Khan Films). The first film released under this banner was the Canadian film Dr. Cabbie. The film earned $350,452 on its opening day at the box office and Dr. Cabbie became the second highest-grossing film in Canada. The next films under this banner were Hero, in which he also sang the title song “Hero” by Nikhil Advani, which starred Aditya Pancholi’s son Suraj Pancholi and Sunil Shetty’s daughter Athiya Shetty; and Bajrangi Bhaijaan by Kabir Khan starring Khan himself with Kareena Kapoor & Nawazuddin Siddiqui. Wears Blue Feroza Stone bracelet in his movies….